Poured from a 12 oz bottle into a snifter (though I lost about 1/4 of the bottle – see final thoughts). 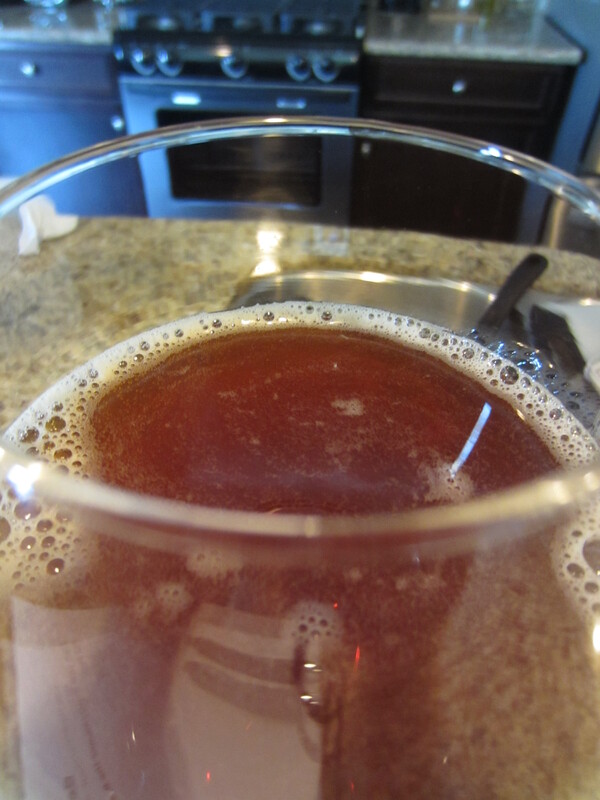 The body is a hazy, amber-orange color, with moderate carbonation visible. Very little head is poured, and minimal lacing is left on the glass (though I’m still fighting some dishwasher residue on my snifter…). Candied caramel sweetness is the most aromatic component, with additional scents of dark dried fruit, molasses, a bready/biscuity quality, and a faint tinge of apricot. 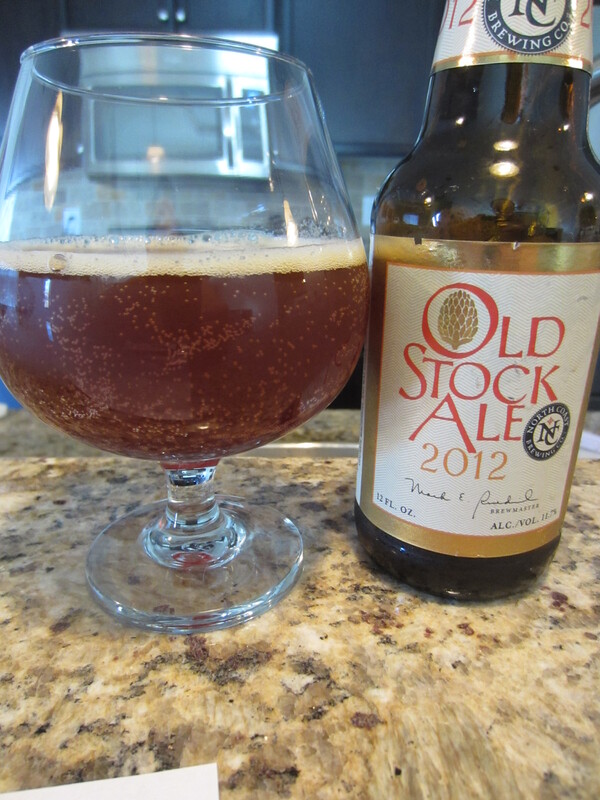 A medium-rich syrupy body and very smooth going down, finishing dry with little carbonation or hop presence. The flavors begin with a bit of an alcoholic cough syrup characteristic, before giving way to the candied caramel malt base. More dark fruit and brown sugar comes through, as well as lingering light maltiness on the palate. 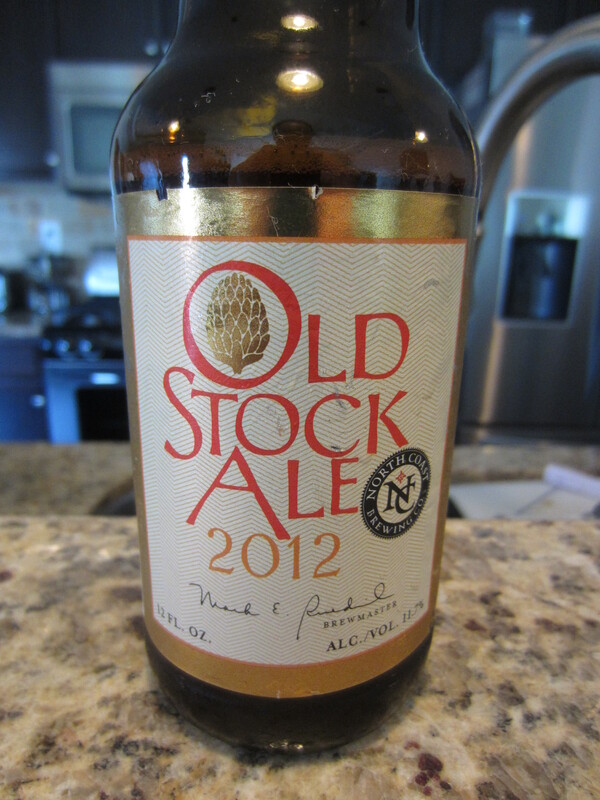 Old Stock Ale probably has had enough age on it to fully enjoy, as the alcohol presence has really smoothed out and mellowed for such a large beer. In fact, its ABV and starting gravity seem to put it more in the barley wine category than an old ale. 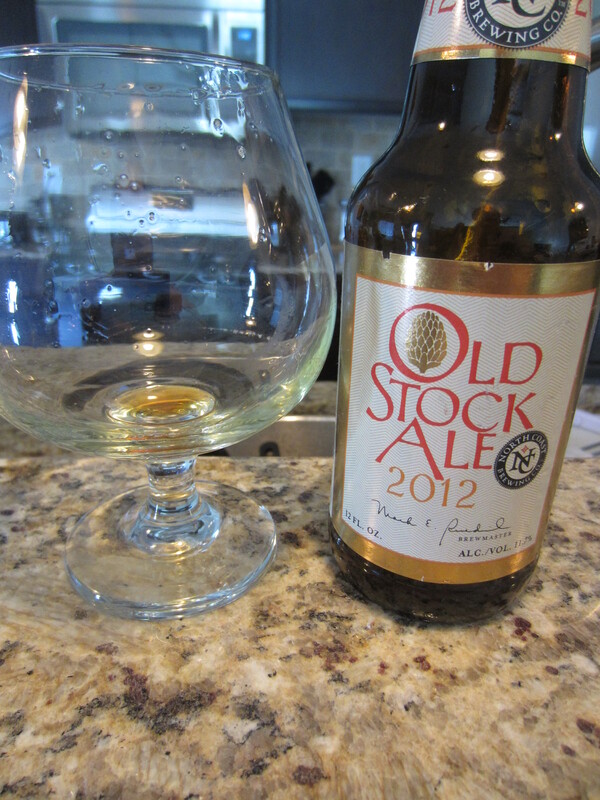 It was a pretty enjoyable drink, with a good depth that all lean to the malty, sweet (and dry) finish. Maybe I’ll try to find another bottle of 2012 and do a comparative review in a few years. 8.5/10.